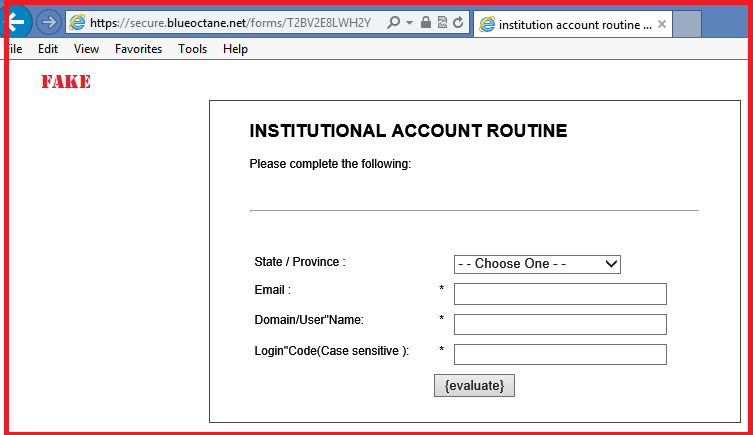 PhishingPier: Password phishing - "RE: ACCOUNT COMPROMISE NOTIFICATION WARNING !!" 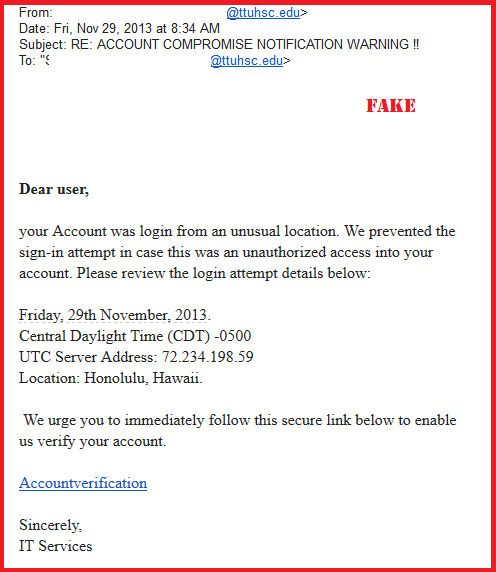 Password phishing - "RE: ACCOUNT COMPROMISE NOTIFICATION WARNING !!" Subject: RE: ACCOUNT COMPROMISE NOTIFICATION WARNING !! We urge you to immediately follow this secure link below to enable us verify your account.